Men's fashion can go from simple T's to sophisticated ties, Lunalina Men's Fashion delivers both. Copa: Where are you from Natascha? Natascha: I’m born and raised in Bern, Switzerland. Copa: When did you get your passion for Men's Fashion? Natascha: I think one of the principal reason why I choose to design fashion for men was, they have much less variety as women. Specially men who have their own style and don’t want fallow the fashion trends every year. I love the idea that some men can complete their look with my kind of design. When I started to create and paint motifs many years ago, they were mostly for men and it’s a pleasure for my eyes, to see a well dressed man. This could be a man in a suit or a man who wear a cool street style outfit with tattoos. Copa: What made you start Lunalina? Copa: What other type of fashion interests you? Natascha: Mostly I prefer fashion with an independent, original and unique style. It’s a pleasure for me to see fashion designs with special details. For example, the blue sole from Bruno Banani. 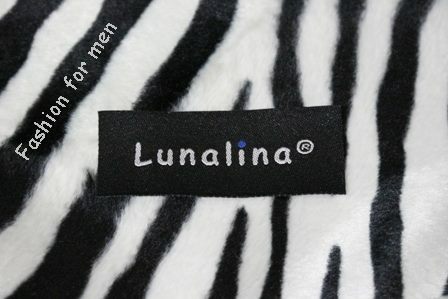 Copa: What is Lunalina all about? Natascha: Lunalina® Fashion for Men, is the brand for artists and people with personality and is not a trendy four season and mainstream fashion brand. 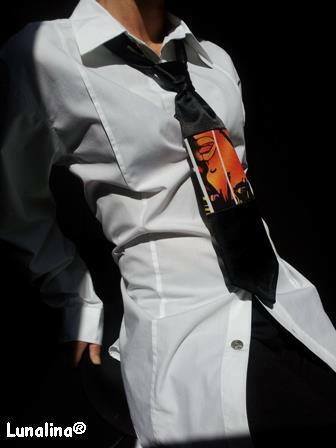 With a Lunalina® tie or t-shirt, you can express your individuality or make a statement. You can say with this accessory where you are, without saying a word or you can stand out from the crowd. When I create and produce a just one-of-a-kind tie, this is really personal, because I know just one person could wear it. I can offer somebody a unique piece for his own style, you know I love this feeling. The ties are all created and produced by my self and the brand is registered in Switzerland. 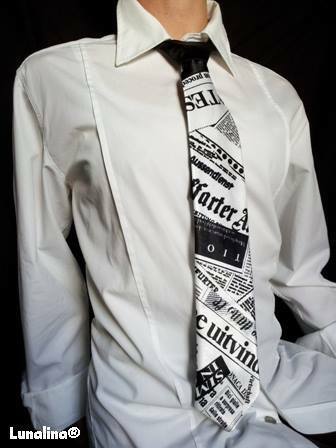 They are all 100% handcrafted and the edition is limited or the ties are just one-of-a-kind, real unique. The design goes from timeless elegance to funky and freaky. 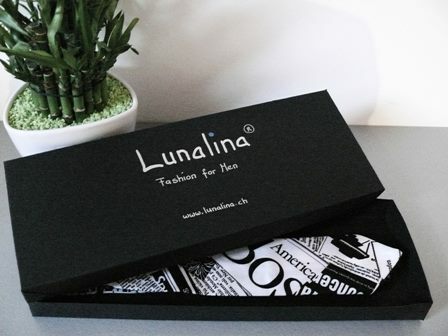 The four tie collections are "Special-One’s", Fashion-Art", "Night-Star", "C’est chic" and the t-shirt collection "freaky-funky" are just the beginning from the Lunalina® Fashion for Men assortment. 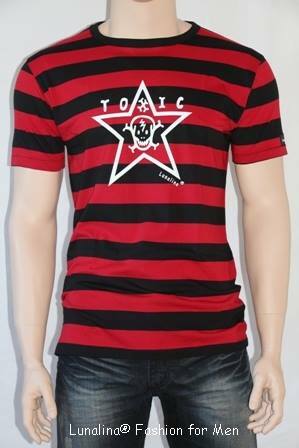 It’s my pleasure to mention that Ti Amo International Inc Wholesale Fashion (USA) carry the brand Lunalina® Fashion for Men, since 2014. http://www.tiamointernational.com/home.html. Copa: Do you have any fashion shows planned to promote your brand in the near future? Natascha: Unfortunately I don’t take part in a fashion show so far, but you never know what else can happen this year. Copa: Are there any other fashion ideas on the horizon for your company? Natascha: First, I'm happy to let you know, that new just one-of-a-kind ties are in process. After the new tie collections are finished, I had planned a new t-shirt collection, the motif on the t-shirts will be all drawn and designed by my self. Stay tuned, because one after the other clothes collection will follow in the future. Copa: What would you say would be Lunalina's magic touch of style?